Safe Cracking Phoenix | Local 24 Hours | Metro Lock & Safe Inc.
For professional safe cracking in Phoenix you want Metro Lock & Safe Inc. Safes are designed to be difficult. They excel at keeping robbers and thieves from gaining access to important documents, money, or items. This can work against the person they’re meant to protect when they forget a safe combination. A forgotten safe combination doesn’t mean you can’t regain access to your safe. That’s where a skilled safe cracker comes in. It’s much easier to get locked out of a safe these days. With all the passwords an average person has to recall for online accounts, a safe combination can easily get mis-remembered. Even though the movies have represented safe cracking as a delicate art that requires a stethoscope paired with incredible hearing, the truth isn’t quite so dramatic. A modern day safe cracker has several methods for entry at their disposal, but the most common is safe drilling. Not just any amateur can perform safe cracking. Many modern safes have built in fail-safe mechanisms designed to prevent tampering or unlawful entry. Our expert level safe technicians can safely recover your personal belongings from any type of safe. When executed properly, safe manipulation is designed for recovery. It often involves partial dis-assembly in addition to drilling of your safe. This is true with whomever provides you safe access, so concern rests with damage free belonging recovery. All of our safe technicians are certified as well as expertly trained. When providing safe access we treat your belonging as though they were our own. This work requires extreme care, dedication, and a great skill. If you’re locked out of a safe, let our experts provide you safe access to your belongings. We don’t just drill a safe. 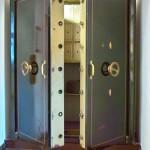 Whenever possible we will perform lock manipulation in order to open your safe. This keeps the safe intact which allows for it’s continued use without repair. It is not an option with every safe. Many electronic safes actually allow for electronic combination retrieval of a lost safe combination instead of safe cracking. Not just anyone can gain access to this information. Metro Lock & Safe Inc. is a trusted name in the industry. We can retrieve combinations directly from the factory. Not only does this allow you access to a lost safe combination, it keeps your safe intact for future use. Just because safe cracking was required for item recovery, doesn’t mean your safe is no good. In many cases a cracked safe can be safely repaired. We have extensive safe repair services. In combination with safe cracking we can recover your belongings and get your safe back to it’s original working state. We also perform installation of a new safe. No matter what type of safe you have, our safe cracking services can quickly re-unite you with its contents. From burglary safes to data safes and even gun safes, our skilled technicians can handle them all. For the best safe cracking in Phoenix, Call (602) 663-9828 or Contact us today. We provide safe cracking in Phoenix’s East Valley as well as West Valley. Our emergency safe cracking covers any time of day.